For review, my friend sent over a personalized hand-stamped family tree necklace which would make an excellent gift and is therefore featured in this year's Holiday Gift Guide. 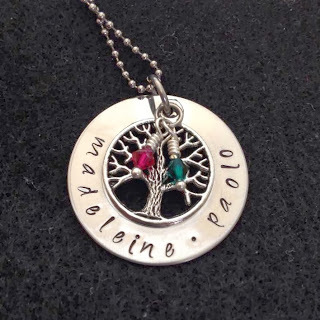 Not only did she stamp the names of both my children, she added a beautiful tree charm and Swarovski birthstone charms to match their month of birth. To place an order, visit her Etsy shop A Cherry on Top Crafts and be sure to follow A Cherry on Top - Handcrafted Creations on Facebook for updated photos. Glad to hear, Judy! It's such an affordable gift idea. Beautiful! 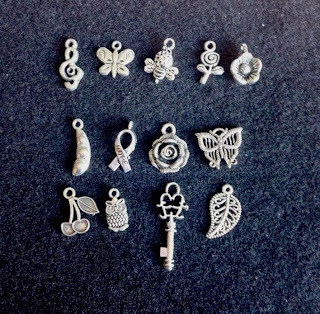 I love hand stamped jewelry. Me too. Each piece is so unique! Your friend is an amazing talent and mother by the sounds of it! I love hand stamped jewellery. 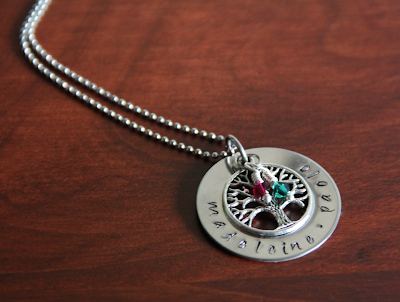 I recently received a surprise in the mail of a necklace w/my children's names stamped and their birthstones! It was a lovely surprise! 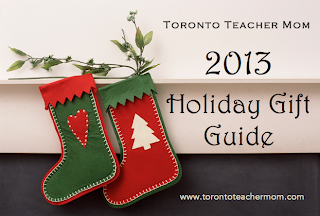 Your friend does beautiful work and nothing is better for Christmas then something personal like this. I love that orange hat! Too cute. Her etsy shop is AMAZING. She's incredibly talented. 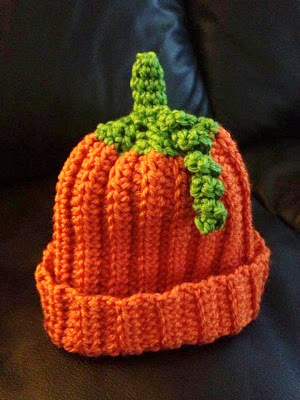 The pumpkin toque is so cute!